The best pictures of the sinking of the Lusitania capture the drama and horror of one of the key moments in World War One. After the outbreak of war, Lusitania remained one of the few ocean liners to remain in commercial service, but German U-Boats were patrolling the Atlantic, and on May 7th 1915 U-20 torpedoed the Lusitania which sank in just eighteen minutes off the Irish coast with the loss of 1400 lives. The first of the best pictures of the sinking Lusitania shows the German U-Boat and the sinking ship. The second best picture of the Lusitania shows the moment before she disappears beneath the ocean. 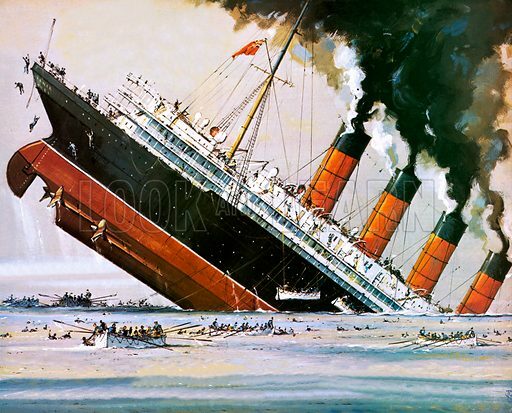 The third best picture of the sinking of the Lusitania shows the drama of lifeboats drawing away from the sinking ship. 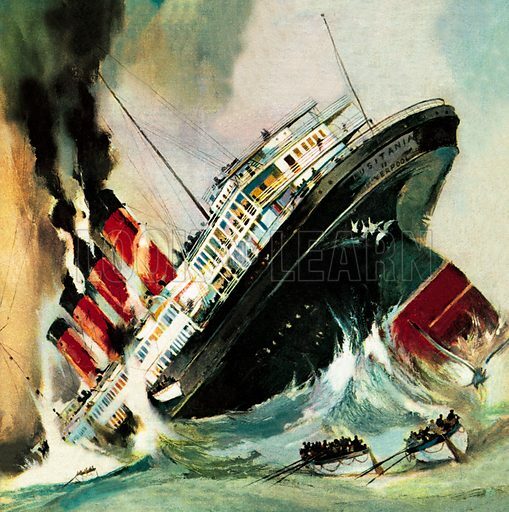 Many more pictures of the Lusitania can be found at the Look and Learn picture library.